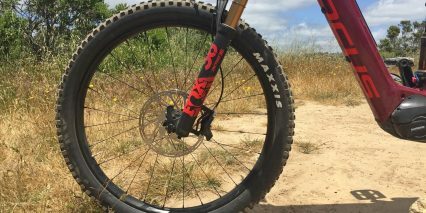 Acros, Threadless, Internal Cartridge Sealed Bearing, Tapered 1-1/8" to 1-1/2"
Maxxis Minion DHF Front 27.5" x 2.5", Maxxis Minion DHR Rear, 27.5" x 2.4"
To date, Focus has introduced three electric mountain bikes in the US that utilize the Shimano E8000 mid-motor and a proprietary downtube-integrated battery pack. 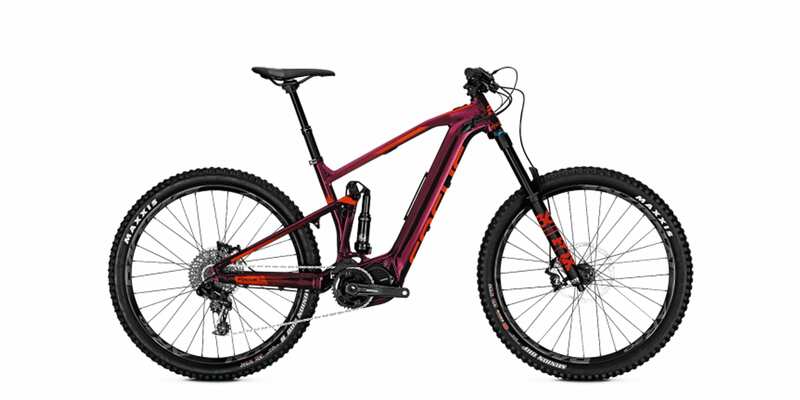 The SAM² is their enduro model with long 170 mm Fox suspension, but I have also covered the JAM² trail model with 140 mm RockShox suspension and the BOLD² cross country hardtail model with 120 mm RockShox suspension. Honestly, there aren’t many enduro/downhill specific models to choose from on the market right now, but what really separates the SAM² in my mind is its completely hidden battery pack. 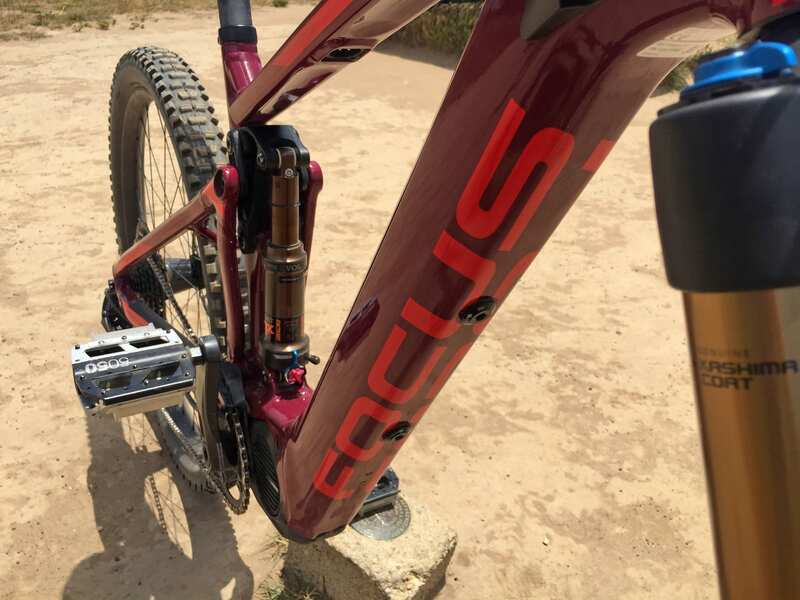 My understanding is that, to date, Focus is the only company that has produced their own fully custom Shimano battery solution. In it’s stock configuration, the SAM Squared doesn’t offer the high 504 watt-hour capacity as something like the Pedego Elevate, but it does have the ability to accept a TEC Pack add-on battery to jump from 378 watt hours up to 756 watt hours. 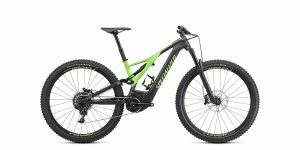 For those who aren’t planning to ride as far or utilize the highest levels of assist, the bike offers a lighter, stealthier, better balanced solution. 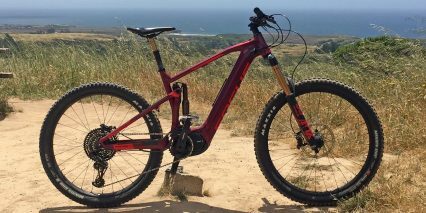 Priced at $6k, the SAM² offers all of the high-end components you’d expect from an enduro model such as Fox suspension front and rear (36 Performance fork, EVOL rear shock, both custom tuned), an 11-speed SRAM NX drivetrain, wheel-specific Maxxis tires (the front is slightly wider, offering larger knobs for enhanced control), lightweight Magura MT5 hydraulic disc brakes with quad piston calipers (203 mm front, 180 mm rear rotors), and a Kind Shock dropper post. 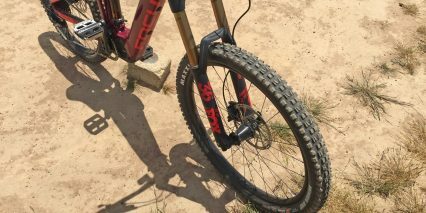 Additionally, the bike is being produced in three frame sizes and two colorways. 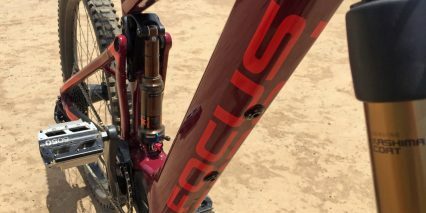 Focus offers the same impressive two-year warranty as all Pon Group companies (Gazelle, Kalkhoff, Faraday, Cervelo, and Santa Cruz), and is sold through a global network of leading dealers. 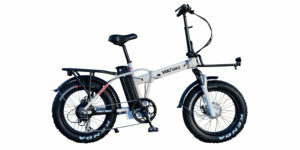 It’s a beautiful high-performance electric bike that was built around a non-electric frame. 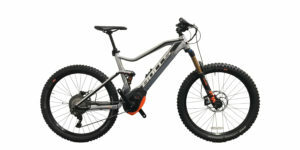 The original SAM enduro bike was adapted for electric with the purist system Focus could find, and that was Shimano. 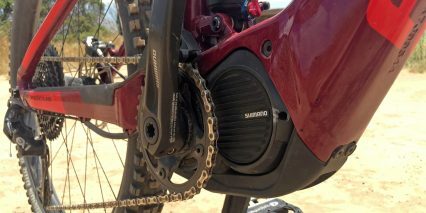 The motor delivers a narrower 175 mm Q Factor, one of the shortest effective chain stay designs because of where the spindle is positioned, and even the display and control pad are skeuomorphic in design (resembling a tiny bike computer and trigger shifters vs. a large display and rubberized button pad seen on many competing products). In my opinion, this purist approach results in some missing features and overloaded interfaces… but it’s respectable, and the bike is certainly a blast to ride. 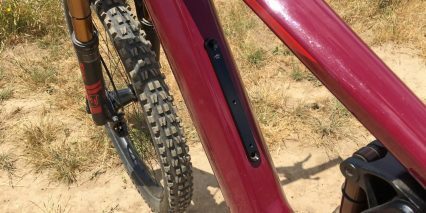 The biggest trade-off may be that the downtube battery is not easily removable for off-bike charging and storage. 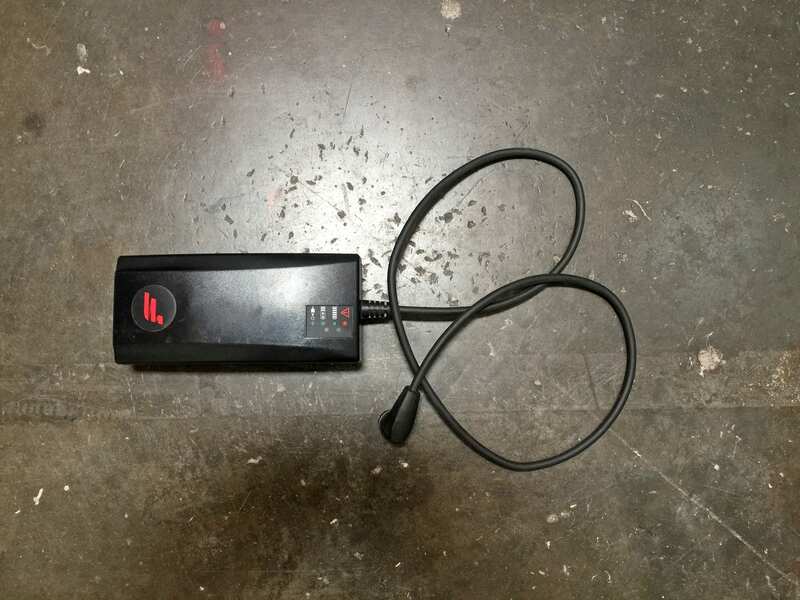 This means that the bike will always weigh ~50 lbs vs. ~45 lbs if you could remove the pack, and that it may be inconvenient to charge (needing to be positioned close to a wall outlet and ideally stored in a cool dry location). 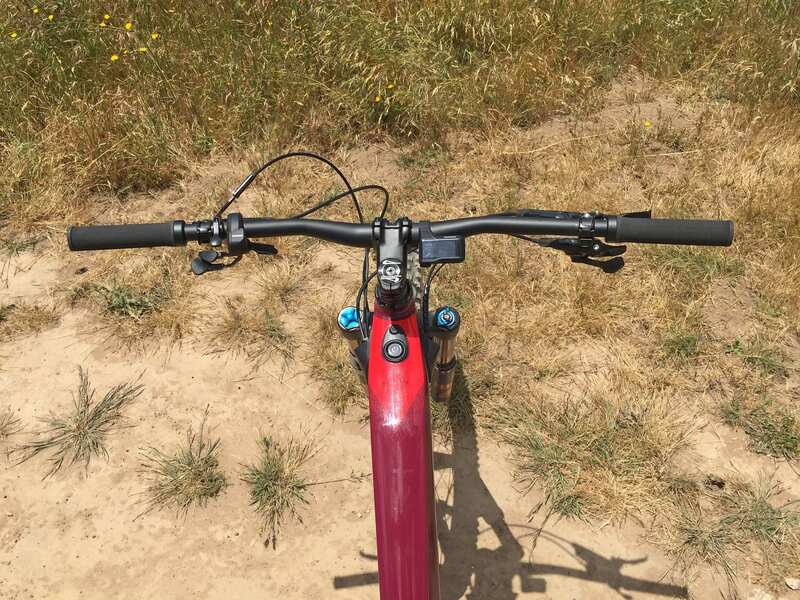 With custom airflow channels built into the downtube, a smartly designed “Bone Rail” for the second battery or bottle cage, and proprietary Fold rear suspension design… there’s a lot to fall in love with here, and I’ll go into more detail below. 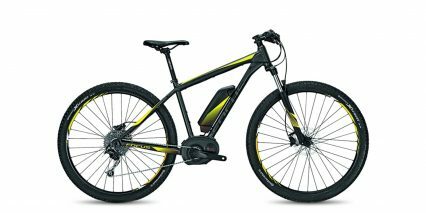 Driving the bike is a 250 watt nominally rated mid-drive from Shimano. This is the E8000, a mountain-specific motor that boasts a peak torque rating of 75 Newton meters and 120+ RPM pedal support. 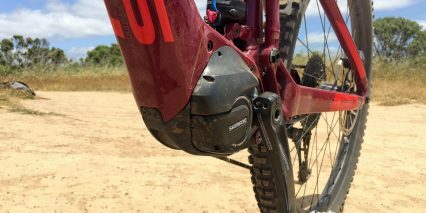 It’s one of the most powerful Class 1 ebike motors I have tested, and it kicks on hard. 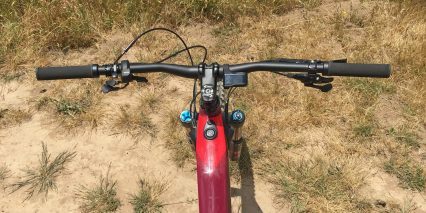 There’s almost a clunk when going from unassisted light pedaling to engaged assisted pedaling… but I usually ride in the highest levels of support, so it’s more noticeable. 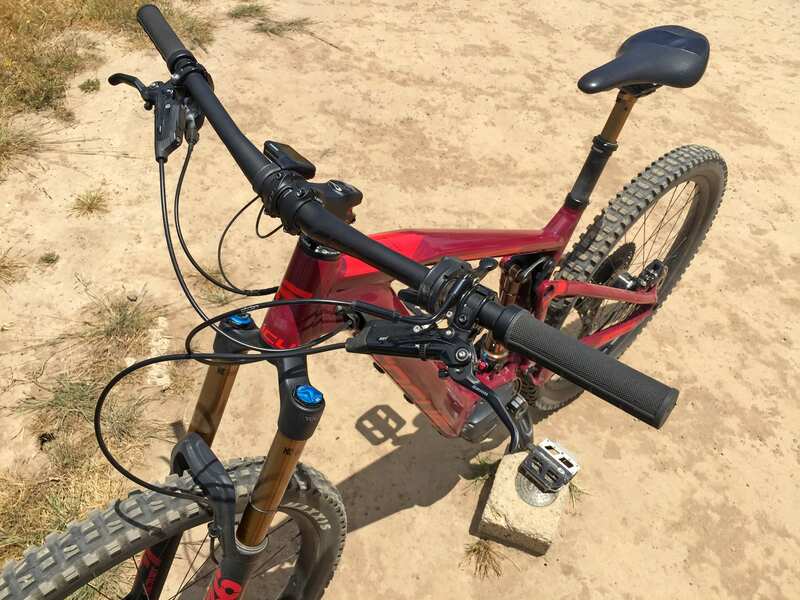 The motor controller listens for rear wheel speed, pedal cadence, and pedal torque in order to activate. The more energy you put into the system, the more support you will get. Centerdrives tend to be more efficient because they can leverage the multi-speed pedal drivetrain that you control by shifting gears. When approaching a hill, I usually shift down into a lower gear to prepare for increased leg work and then pedal faster to maintain speed going in. 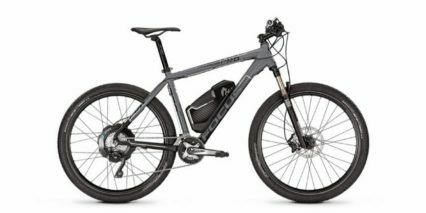 Both you and the motor will benefit from proactive shifting like this, and it won’t fade out with those higher pedal speeds the way that the urban-focused Shimano E6000 motor does. 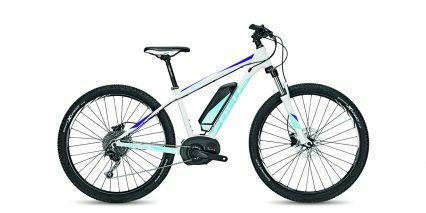 The experience is mostly great, but unlike Bosch and some Bafang systems, the Shimano motor system does not offer shift detection/protection. It’s an advanced, super responsive, design that relies on you to ease back as you shift… as you would normally do to avoid mashing and jumping gears. 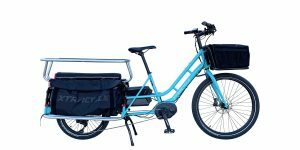 My own experience with electric bikes has led to a more proactive and delicate shifting technique. 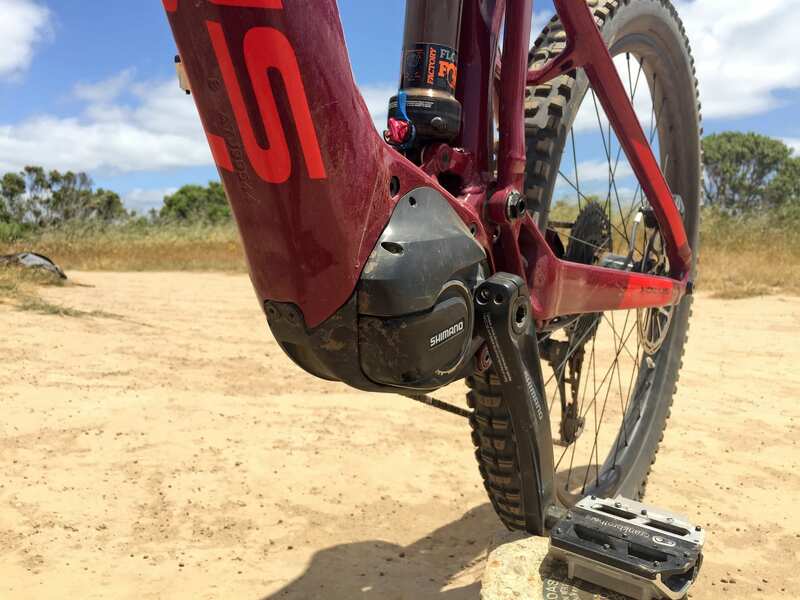 It’s not just my legs putting power into the chain, sprockets, and derailleur; there’s also a very powerful motor contributing up to 300% support. 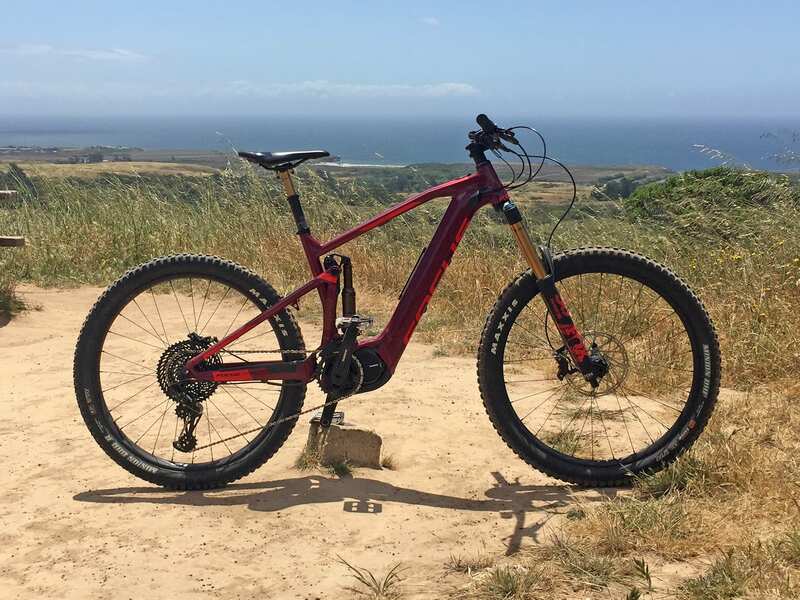 The peak watt output is 500, double the nominal rate, and that’s exactly what you want for climbing steep trails (so you can enjoy descending them), just be conscious of how you interact with the bike. 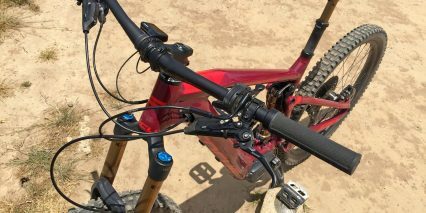 Some riders might appreciate the “instant on” feeling of the motor and faster shifting, it’s very capable and more raw than some of the others I have tested. 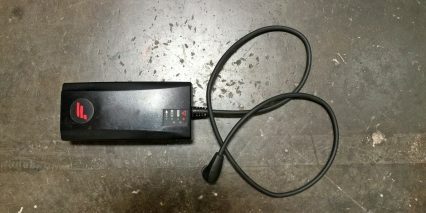 Powering the motor and color backlit LCD display unit is a tubular battery pack that is installed in the downtube by two long bolts. You can see the bolts below the downtube and their attachment point along the top. 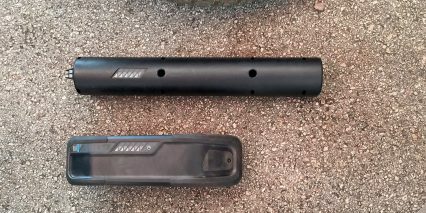 A thin black metal piece called the “Bone Rail” acts as a large washer for the two bolts and doubles as a mounting point for bottle cages and other accessories or the TEC Pack and Smart Rack plastic accessory mount. 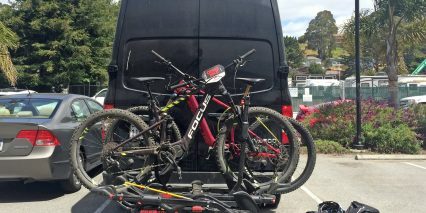 Both the TEC Pack and Smart Rack are easy to click on and off of the Bone Rail and this modular system is what really shines on the latest round of Focus electric bikes. 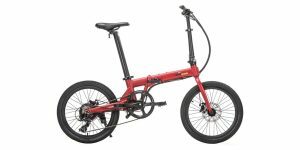 For someone like me who is a lightweight and very active rider, the JAM² and SAM² are near perfect in optimizing frame balance (keeping weight low and center), stealthiness (keeping drive systems hidden), and performance (offering enough juice to last several hours of rigorous riding). 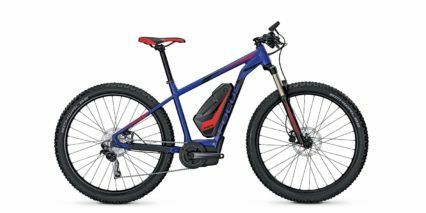 During Interbike 2017, I was able to see what the tubular battery pack looks like because Focus had one outside the frame. I took a photo which can be seen in the video review or scrolling through the thumbnails above. It has the same LED charge level readout as the external TEC Pack (despite being completely unusable and hidden) and is encased in plastic, then mounted inside the downtube. 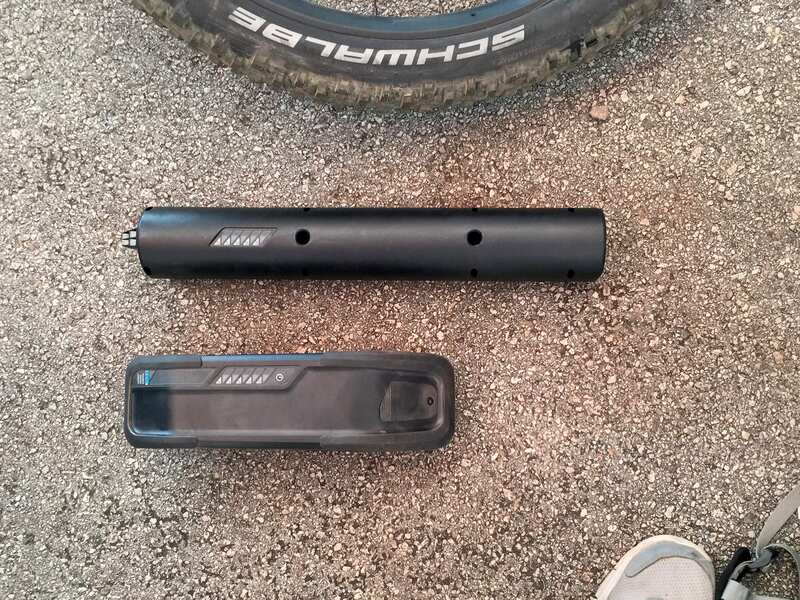 I’m told that there are air channels on both sides of the pack that go from the large plastic vents near the head tube down to drains on either side of the motor. This allows air to circulate and cool both the motor and battery while allowing dust and water to drain out. It’s a neat design that reminds me of a vintage sports car with a hood scoop. Both the internal battery and optional TEC Pack offer 36 volts and 10.5 amp hours, which is a bit low for the 2018 season (many competitors are offering 500 watt packs), but again… you can combine the two to create one of the highest-capacity products in the space. 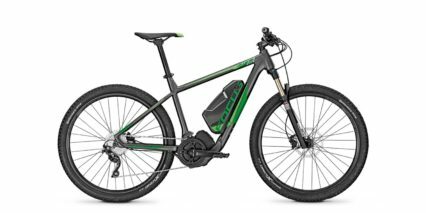 The additional battery does cost $600 extra, but it can be charged off of the bike… So many cool scenarios come to mind for me, like relay races or camping trips where riders may share packs and deposit them to charge in different locations along the way. You can swap between the same TEC Pack between the BOLD², JAM², and SAM² which is very cool, and allows for a range of price points (starting at $4,499 with the BOlD²). If you do have a TEC Pack, note that it will drain independently from the main battery when plugged in. These packs do not balance evenly when charging and discharging the way that the Bosch system does (which you can see on some Riese & Müller models). 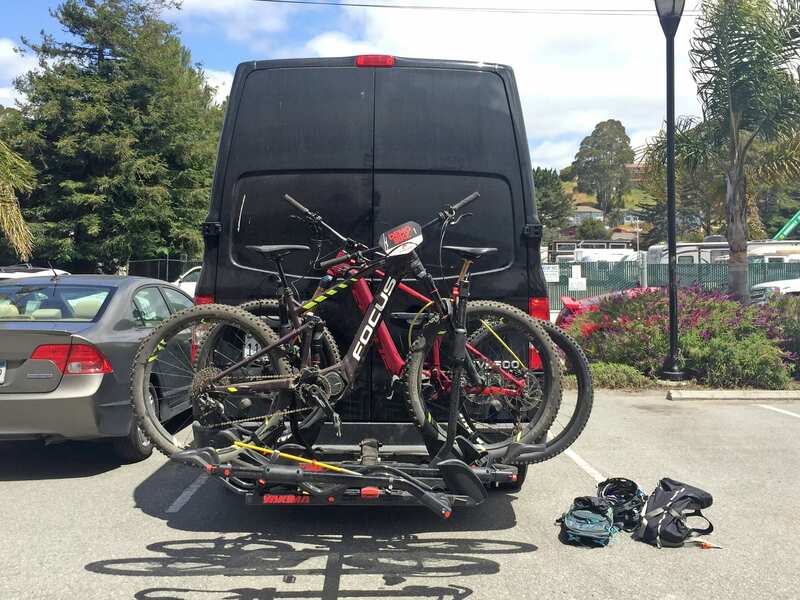 In fact, you must charge the bike and then the TEC Pack separately. This could be a pro or con depending on how you ride, maybe you always want to keep the main pack as a reserve tank and cycle+charge the TEC Pack each time? Focus has made a custom charger to go with their proprietary battery design, and I really like it. Rather than a friction plug, it uses a magnetic Rosenberger plug that will easily pop out if tripped over. The charger itself is a bit large, but delivers faster 4-amp charging. 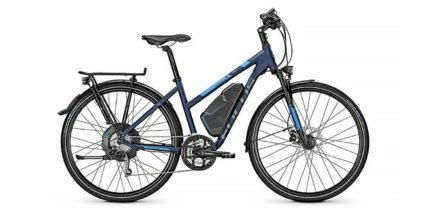 It’s my preference compared to the larger stock Shimano charger, and I like how it plugs into the base of the top tube vs. down by the crank arms and motor which seems vulnerable on so many competing ebikes. Operating the bike is fairly straightforward, but physically separated at times. 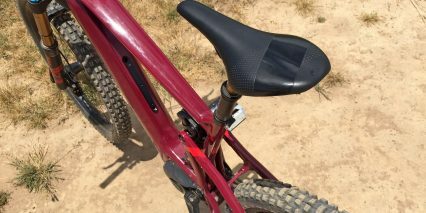 What I mean is, after you have charged the battery or batteries, and are ready to turn the bike on, you have to hold this power button on the top tube for a couple of seconds until it slowly lights up. When filming the video review, I pressed this button for just one second and it did not activate. 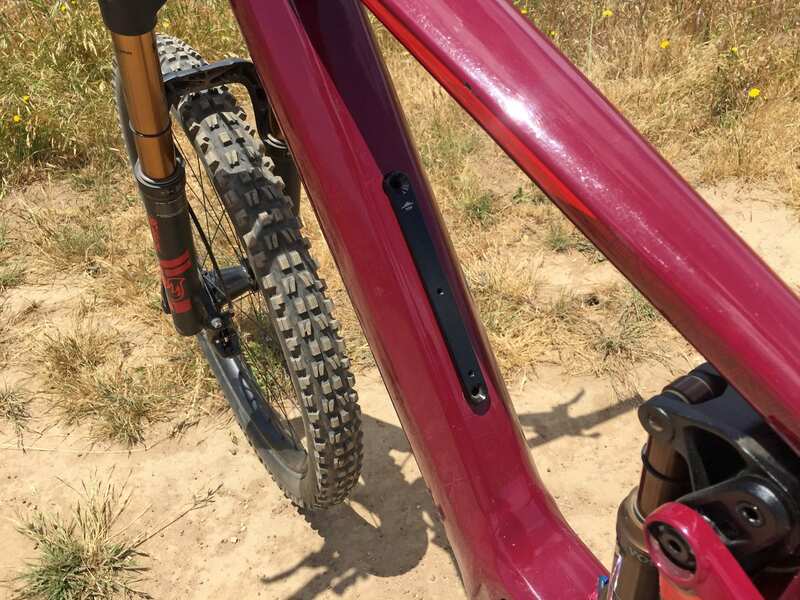 At this point, the Shimano Di2 display panel blinks on in color, and shows your battery level with five bars, current speed, and assist level. It’s clean, stays out of the way, but is not removable, does not have a Micro-USB charging port for accessories, and is very far to reach if you want to switch views. 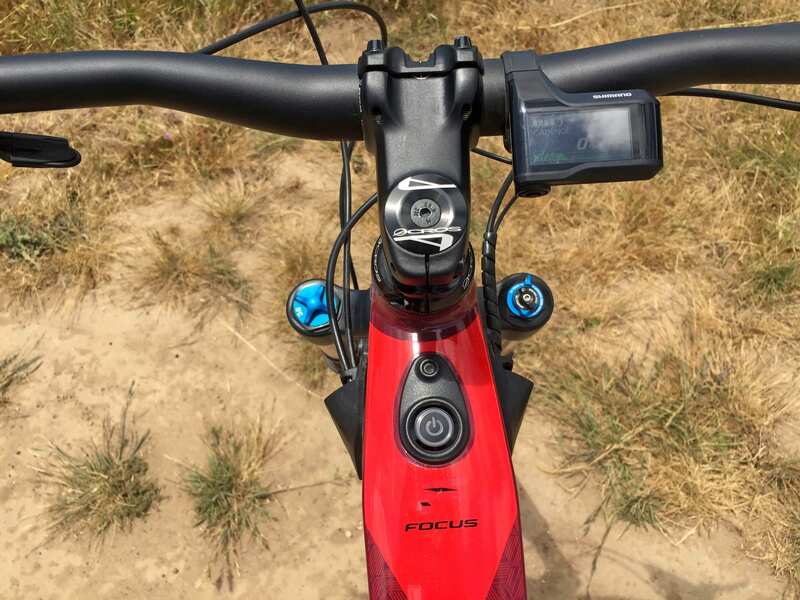 There’s a little rubber circular button on the base of the display that lets you cycle through trip distance, average speed, timer and some other readouts… but there’s no way to reach this while riding unless you completely remove your right hand and reach over very carefully to press the little circle. I did this while filming during part of the ride and felt a little precarious. It’s a far cry from most of the other major display and control pad designs like Bosch, Yamaha, and Brose which are large and easy to reach. Usually, you can adjust assist and menus by reaching over from the left and pressing an i or mode button. Even this can be sketchy if you’re navigating technical mountainous terrain, which is exactly what the SAM² is built for. So, I wouldn’t recommend utilizing these sub readouts unless I was fully stopped… and make sure you pull of the trail to do so, so you won’t get rear ended. The good news is, you can easily change assist levels by pressing the trigger shifter buttons on the left. Navigating from no-assist to Eco, Trail, and Boost is satisfying because you feel and hear this click, like shifting gears on a traditional bicycle. It’s just an illusion, a skeumorph, as no cables are being pulled, just electronic signals being sent to the display panel control system. For those who wish to adjust the clock, brightness, turn off the beeping noise (associated with changing assist levels) or explore other options, just hold the rubber circle button on the display for several seconds to get into the settings menu and then navigate up and down with the left shifter buttons. You can get even more options by downloading the Shimano E-TUBE app for your smartphone and syncing it, and you can also connect ANT+ devices to track biometric data. Considering there are only three buttons here (the up and down shifter buttons and the little circle rubber button) I feel like the menu system is very well laid out and easy to use. 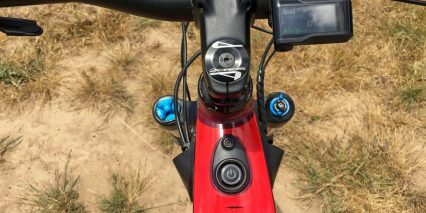 I just wish that Shimano had replicated the little rubber circle button on top of or on the side of the left trigger/button mount so it could be utilized more conveniently. 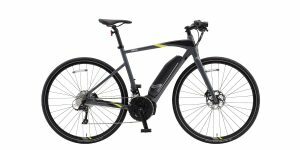 All things considered, the cockpit on this electric bicycle is one of the cleanest and simplest I have tested, it’s also well protected and not distracting. However, the display isn’t always easy to read because of its small size, dark smoked plastic lens, and fixed position (think glare) but the tactile click of the shifter buttons works great once you know the bike is turned on. Since each level of assist is associated with a different color on the display, there’s this associated “glance” experience where you don’t necessarily need to read in order to know what’s going on… unless you’re color blind. 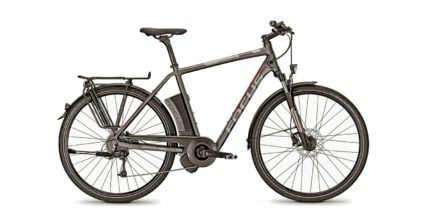 Going a bit further with the criticisms, for an e-bike that looks so stealthy in some ways, why is the on/off power button so large? It does look sturdy, but I’m not sure it needed to be backlit with blue vs. red (which wouldn’t be as distracting during night rides). It does take those few seconds to boot up, so perhaps the LED light ring was introduced as a strong signal to not press again out of impatience. 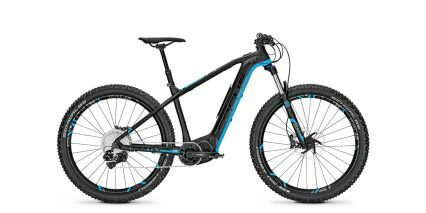 The Focus SAM² will allow you to enjoy downhill routes without the chairlift, or simply more times than would be possible on human power alone. It’s a beautiful product with one of the best drive systems, but there are some compromises. 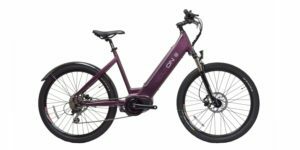 It’s a purist electric bike in almost every way, but it’s intended for skilled riders who know how to shift. 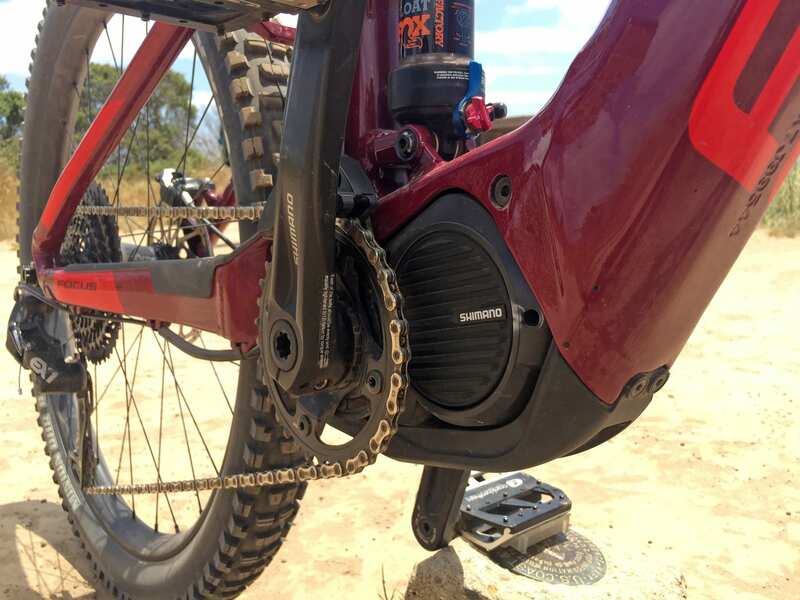 You won’t be dropping the chain thanks to a narrow-wide chainring and full-surround guide. 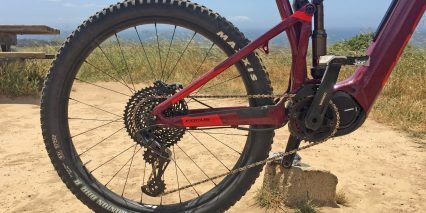 You could replace the chainring with another standard component because it isn’t using a reduction system like the Bosch Performance Line motors (and there isn’t any pedal friction). I enjoyed cycling from the city of Santa Cruz, California out to Wilder Ranch and up to the picnic table lookout. Focus marketing rep Andreas Krajewski rode a JAM² while I was mostly on the SAM² and swapped back and forth a bit. 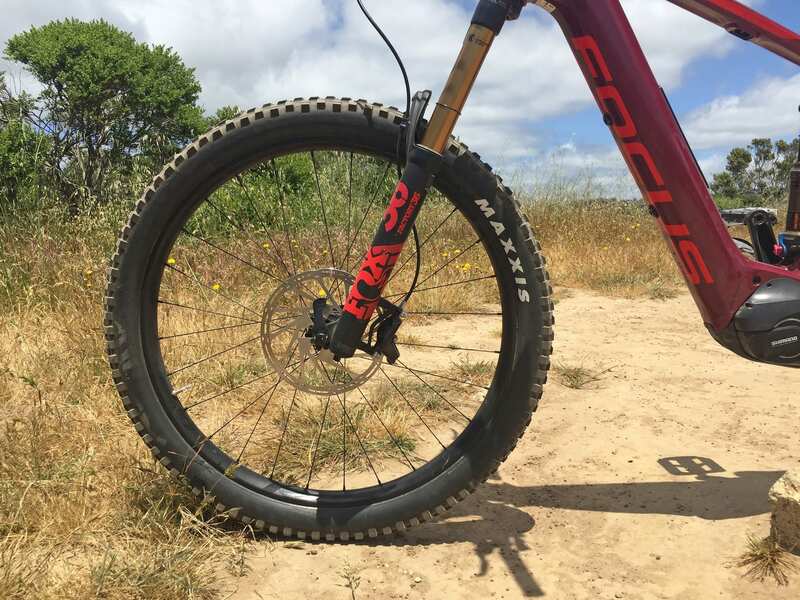 It’s interesting that this model went with narrower 2.4″ and 2.5″ tires vs. the larger plus sized tires of the JAM² which offer more float and deflection. 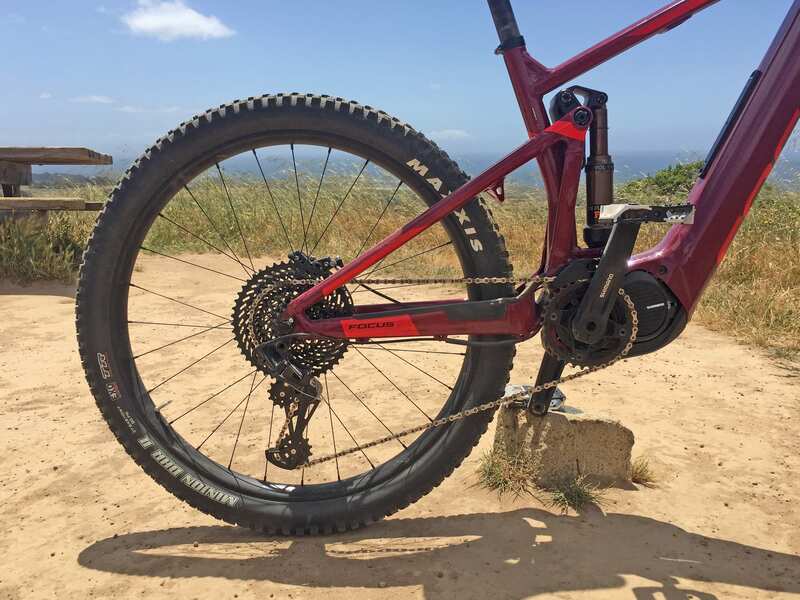 I was a little surprised that the drivetrain on the SAM² didn’t offer 11 to 46 teeth (it goes 11-42) and I welcome input from Focus reps or riders here on why that might be. 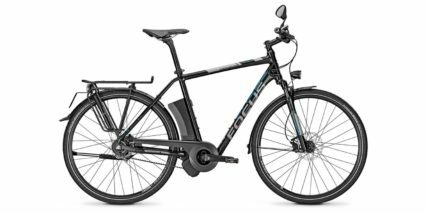 The frame is manufactured in Taiwan but all bikes are assembled in Cloppenburg Germany at Focus headquarters (Derby Cycles). The parent company, Pon Group, is based in the Netherlands but the company is also present in Stuttgart Germany, where Andreas is from originally. 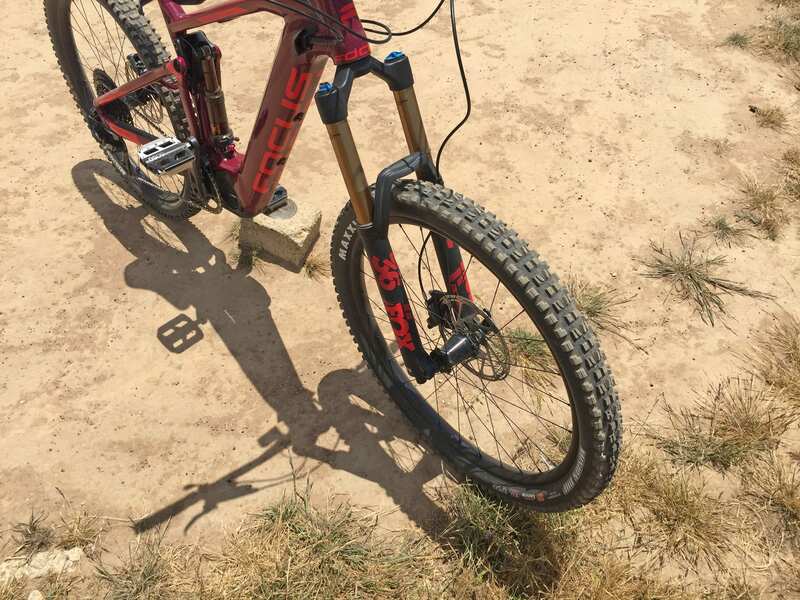 I’m told that the bikes are tested in a climate chamber, which is pretty cool, and I want to highlight again the patented linkage design and how both shocks are custom tuned to work with the SAM kinematics. There’s a higher level of precision and engineering here that reflects the peer companies like Bosch, Mercedes, and Porsche who are also present in Stuttgart. 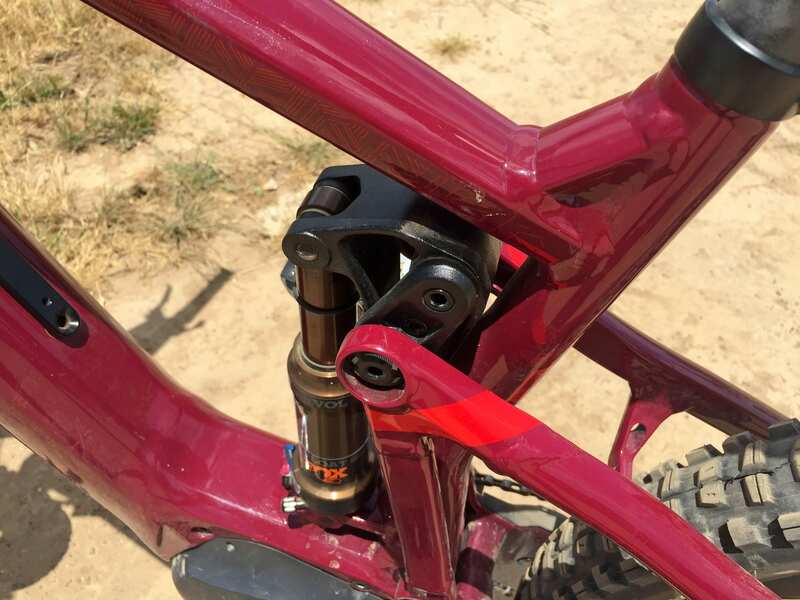 I’m not advanced enough to comment too much on the Fold rear shock design, but was told that 30% is sensitive for small bumps and that it becomes more progressive with 70% going towards bigger hits. 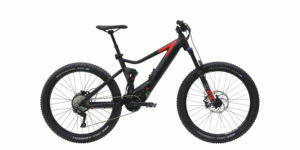 I certainly like the vertical shock, how it frees the main triangle for lifting the bike and using the TEC Pack. 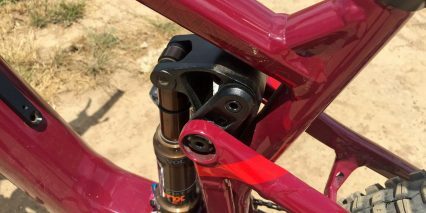 Note also the hollow spindle, lightweight crank arms, and Race Face AR30 rims. 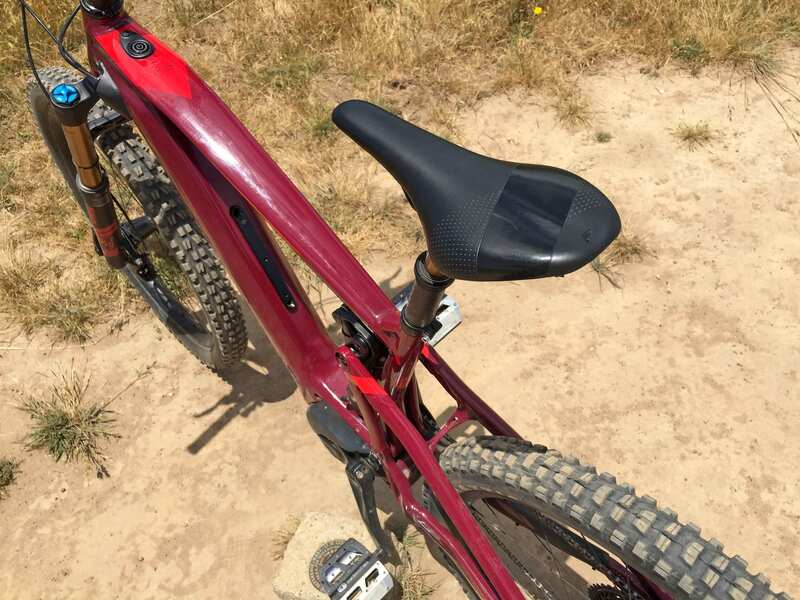 I wasn’t a huge fan of the saddle, it’s rounded on top vs. more flat and just didn’t feel as good as some Ergon and Specialized products for my body. Much of the climbing done in this video felt fast, but I never got above 11 or 12 mph despite being in the highest level of assist and spinning pretty rigorously (you can even see Andreas standing and working hard for many sections, I suspect he was not in the highest assist). I reached ~27 mph on descents, being careful with the blind curves of this trail. 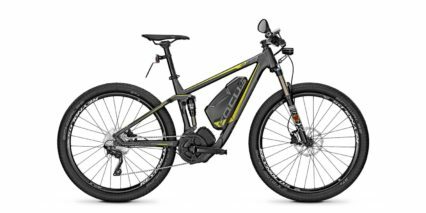 The newest Focus electric mountain bikes were built as bikes first and then adapted for assist… and that’s the idea behind the “squared” naming. It was fun testing the SAM2 on a longer ride and I want to thank Focus for partnering with me on this post and Andreas for going on camera. 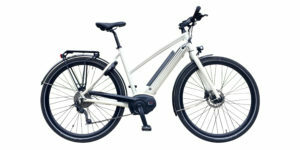 I’ll do my best to answer comments below and welcome your feedback, photos, and connection in the Focus electric bike forums. Have you had a chance to review the “Focus Paralane² e-road bike”? It is on their English language web page here. Perhaps it is not yet available in the U.S.